The European Investment Bank (EIB) and the European Investment Fund (EIB Group) have provided Raiffeisen Bank Aval (Kyiv) with EUR 69 million guarantees to support lending to small and medium-sized enterprises (SME). According to a press release of the Ukrainian bank, these guarantees will allow it to expand lending to SMEs by reducing requirements for collateral. 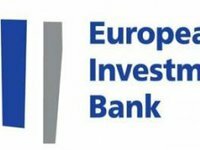 New loans that will be issued under the agreement with EIB Group can be issued to both new and existing customers of the bank. In particular, the possibility of extending the volume of existing loans is foreseen. Against the background of improved lending conditions, Raiffeisen Bank Aval expects to attract 150-200 new borrowers this year. Raiffeisen Bank Aval Board Chairman Volodymyr Lavrenchuk said the agreement does not provide for direct provision of funding by EIB Group for new loans. "This is the guarantee that covers the risk: up to 70% for each specific loan, up to 20% for the total portfolio of such loans. There are no terms of funding here," he said at a press conference in Kyiv.